If you didn't already know I am a HUGE fan of anything with a good slogan on from socks to jumpers the world is just a better place when you have a slogan reference. There are so many places you can find them, and next week I have a low down of jumpers that are great for the festive season but in the meantime I have some t-shirts to share with you. These are from my favourite shop Lush T-Shirts, they have some amazing t-shirts on offer everything from normal ones to these Christmas ones. 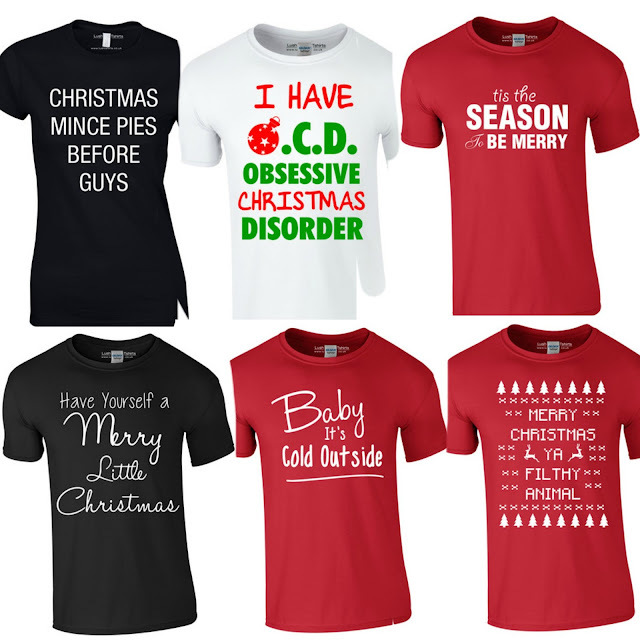 Of all of these the one I really like is the OCD one, it really made me giggle and describes me to a T. Have a browse on their site to see if you fancy one, if you are anything like me then all of them will be ideal for you!